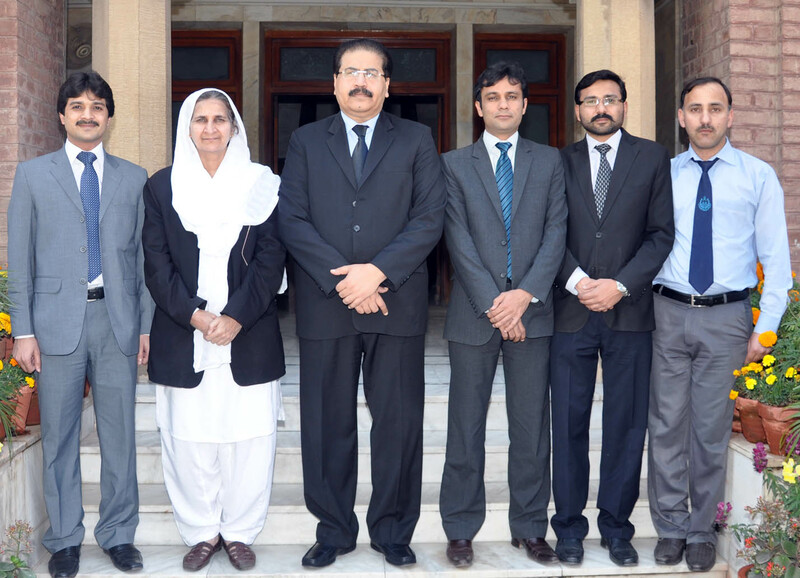 After the meeting of the NJPMC held on November 03, 2012, National Judicial Policy Implementation Cell was established by the Hon’ble Lahore High Court Lahore on November 13, 2012 to monitor the disposal of oldest cases (filed upto 31-12-2008) pending in District Judiciary Punjab. This cell was established under the supervision of Muhammad Hafeez Ullah Khan, the District and Sessions Judge (I&R/NJP). Ms. Bushra Zaman, Additional District and Sessions Judge was appointed as Monitoring Incharge to monitor the disposal of oldest cases (filed upto 31-12-2008) with the assistance of three Civil Judges as Monitoring Associates namely Rana Aneel Arshad, Talalt Waheed and Muhammad Fiaz. At that time, backlog of oldest cases (filed upto 31-12-2008) in District Judiciary Punjab was 54112. The progress of the oldest cases used to be monitored by collecting the data of the disposal, pendency and balance of the oldest cases on daily basis. Moreover, status of the proceedings conducted in oldest cases was also monitored through email as well as telephonically. Data of disposal collected on the performa provided by the NJPMC used to be transmitted daily to the Law and Justice Commission of Pakistan for the kind perusal of the Hon’ble Chief Justice of Pakistan/Chairman of the NJPMC. District Judiciary Punjab responded well to the efforts of the NJP Implementation Cell and decided the maximum number of oldest cases (upto 31-12-2008) in 45 days of November and December 2012. In recognition of the strenuous efforts of the district judiciary and cooperation extended by the members of the bars for disposal of oldest cases, Hon’ble Mr. Justice Umar Ata Bandial, the Chief Justice, Lahore High Court Lahore was pleased to distribute the letters of appreciation and 20 laptops in a ceremony held at Punjab Judicial Academy, Lahore on 21.2.2013. Hon’ble the Chief Justice, Lahore High Court Lahore was also pleased to award letters of appreciation and cash prizes to the ministerial staff of the district courts in the said ceremony. Under the continuous monitoring of NJP Implementation Cell on daily basis, District Judiciary Punjab with strenuous efforts has succeeded to clear of the backlog of the oldest cases by deciding 46016 oldest cases within a short span of time. It is remarkable to note that after the introduction of the National Judicial Policy in the year 2009, for the first time under the continuous monitoring of the NJP Implementation Cell, thirty five (35) district courts out of 36 in Punjab have succeeded to achieve the target of disposal of the oldest cases (upto 31-12-2008) from November, 2012 till October 10, 2013. Now district Lahore only has the pendency of oldest cases (upto 31-12-2008). After the achievement of target of disposal of oldest cases, Hon’ble authority had been kind enough to assign the task of monitoring the disposal of old cases (filed from 01-01-2009 to 28-02-2011) to the NJPI Cell on the same pattern on which the oldest cases were being monitored. So, from November 24, 2013 this cell started monitoring old cases (filed from 01-01-2009 to 28-02-2011). At that time backlog of old cases was 1,17,402. From November 24, 2013 to December 20, 2013 under the monitoring of NJPI Cell, District Judiciary Punjab decided 48,758 old cases (filed from 01-01-2009 to 28-02-2011). Then in the meeting of NJPMC held on 23-11-2013, the categories of cases were revised as “Old” and “New”. The old category includes all cases filed upto 31-12-2011. Now, as per instructions of the authority, since 21-12-2013, this cell is monitoring Revised Old Category Cases (filed upto 31-12-2011). On the same pattern like the oldest cases, the data received from 36 district courts of Punjab of pendency, disposal, remand/re-open/physical verification and balance of old cases (filed upto 31-12-2011) is transmitted to Law and Justice Commission of Pakistan on daily basis for the kind perusal of the Hon’ble Chief Justice of Pakistan/Chairman NJPMC. On 21-12-2013, the backlog of revised old category cases (filed upto 31-12-2011) was 1,87,681. From December 21, 2013 to March 31, 2014 District Judiciary Punjab has succeeded in disposing 59,758 revised old cases (filed upto 31-12-2011). After the transfer of Ms. Bushra Zaman, Learned Addl. District and Sessions Judge, Mr. Ch. Muhammad Tariq Javed, Learned Addl. District and Sessions Judge has been assigned the charge of monitoring the disposal of revised old cases. The Learned Addl. District and Sessions Judge assumed the charge of the office of this cell on 01-03-2014 and this cell is now working under the benign control and guidance of Mr. Ch. Muhammad Tariq Javed, Learned Addl. District and Sessions Judge as Monitoring Incharge. This cell is applying its atmost efforts for the effective implementation of National Judicial Policy. The cell is also working on a new idea of Fast Track Courts for the speedy disposal of old cases.